Join us for a fun and creative Coffee Painting Workshop and learn how to paint with a unique medium – coffee! 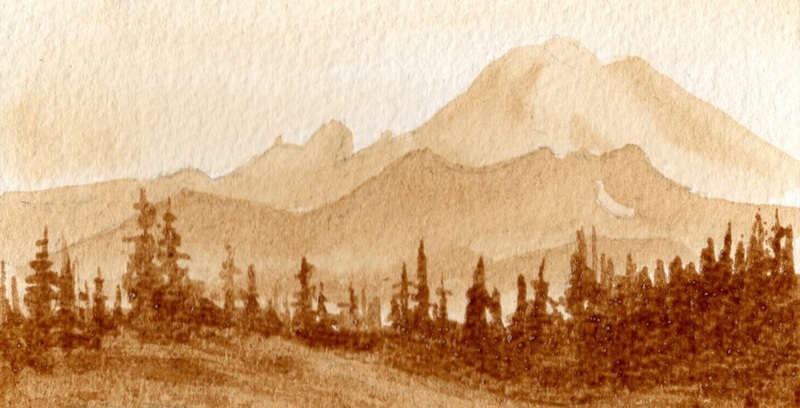 Participants will paint with different values of coffee to create a sepia toned landscape painting. Participants will create their images on 14×17 water colour paper. No experience required! Participants will be guided step-by step to create their artwork. Cost: $35+ HST (*Price includes a small coffee and a pastry). Register today! Spaces are limited.